The portable, industrial heaters GT 1400 AP (All Purpose) is JetHeat’s state-of-the art modular heating system. This flexible configuration was designed to meet a wide variety of customer applications. By design, the system can be used as a trailered package or as a stand-alone enclosure facilitating placement of the narrow (32”) cabinet into spaces the competition cannot... such as a freight elevator, a doorway or hallway. 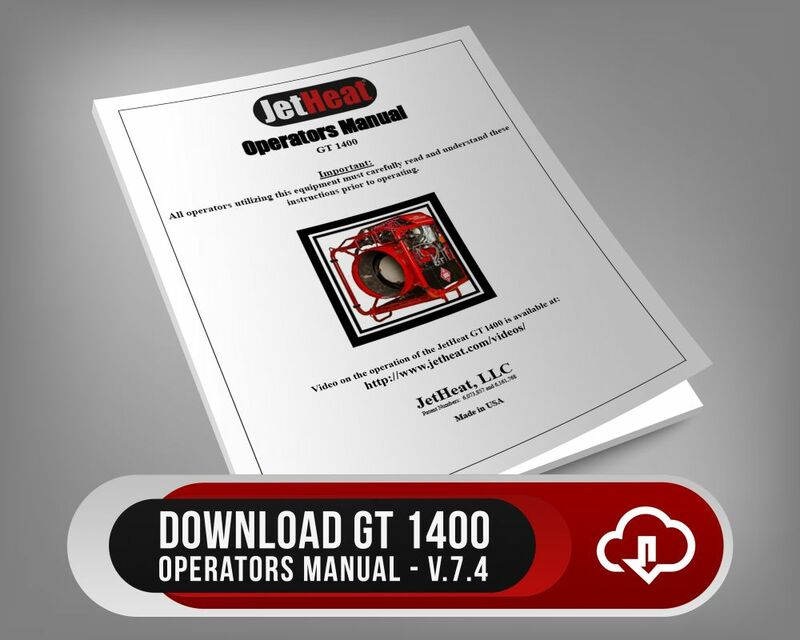 The core of The portable, industrial heaters GT 1400 AP, and all other JetHeat configurations, is JetHeat’s proven Stand-Alone (SA) heater module. The SA can be removed from the AP enclosure and used in conjunction with a remote fuel cell or reconfigured into a GT1400 SA-M (some additional hardware is required). No other heater system in the World has this level of modularity or capability. Call us today, toll free, at 1-877-JetHeat or fill out our contact form to learn more about these amazing American Made flameless commercial heaters. Enclosure (Wet, 200 gallons of fuel) = 3,910 Lbs. Trailer ( ONLY, no Enclosure) = 1,550 Lbs. The JetHeat heater module converts over 95% of the ULSD to usable heat. During operation the diesel fuel is vaporized. This means it is converted to a gas, rather than burned as a liquid, before it enters the combustion chamber. The result is continuously sustained combustion that is highly efficient and extremely clean. You won’t see black smoke come out of a JetHeat GT 1400 like you see on a conventional diesel unit. The output from the JetHeat heater produces clean, breathable air. 100% Intake Air Filtration helps keep air clean on dusty work sites.